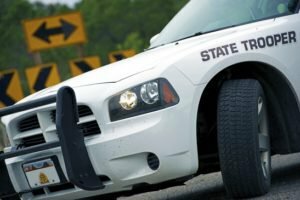 Florida DUI Law | Christopher M. Sierra, P.A. Being charged with DUI is serious business that requires the help of a competent DUI lawyer. Christopher M. Sierra, Esq. will be there to help you in your time of need. We have extensive experience working within the St. Petersburg court system and can represent you throughout the process. Our attorneys will go over the details of your case carefully to build an effective defense, and do everything within our power to minimize the consequences of your actions. Start building your defense by scheduling a consultation with Christopher M. Sierra, P.A. today. The Sierra Law Firm is a DUI lawyer in St. Petersburg (Pinellas County), Florida who can help you navigate the complex legal process of fighting a drunk driving charge. We can fight to restore your driving privileges, review the ways that evidence was gathered and how your stop was handled, and fight for your rights. When your reputation is at stake, you’ll want a DUI law firm like the Sierra Law Firm on your side. Under Florida law, individuals can face charges for a DUI if they are found to be driving with a blood alcohol concentration above 0.08%. However, individuals under age 21 can be charged with a DUI if they are found with lower blood alcohol concentration levels. It only takes a few drinks to be legally drunk. How many drinks it will take for you to be legally drunk will depend on many factors, ranging from your body type, your weight, how much you have had to drink and whether you consumed food with drinks. Additionally, the amount of alcohol you’ll need to drink to be legally drunk can vary from night to night because of all these diverse factors. Because alcohol can alter your judgment about how drunk you are, it is easy to see why some individuals end up with drunk driving charges. If you are being charged with a DUI, you may be wondering how you can “speak to a DUI lawyer near me, in St. Petersburg, Florida.” The Sierra Law Firm can review the facts from the night you were drinking to better understand your case and your options. 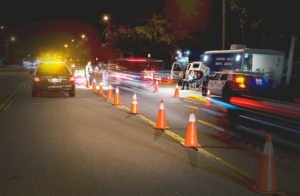 Individuals who are charged with a first-time DUI can face a fine between $500 and $1,500, have to perform mandatory community service, and face jail time or attendance in a drug or alcohol rehabilitation program. The consequences of a DUI can be much more serious if you caused property damage or if another person was injured in a car accident. If this is your second, third, or fourth DUI, you could also face more serious charges. The Sierra Law Firm is a DUI lawyer in St. Petersburg, Florida who understand how great a DUI conviction can impact a person’s life. Our firm works hard to protect an individual’s rights. We can review your case and fight to have charges dismissed or reduced. Sometimes individuals are wrongfully charged with a DUI, or they are wrongfully stopped. Officers must have probable cause to subject you to a traffic stop. Our firm can review the facts and offer you a roadmap forward. You may have many questions about your charges. Call the Sierra Law Firm, a DUI attorney near me in St. Petersburg, Florida. In some cases, individuals can avoid jail time or loss of driving privileges by accepting deals in court. We can help you understand your options, their drawbacks and benefits, and help you plan the best possible course forward. Contact the Sierra Law Firm today, a DUI law firm in St. Petersburg, Florida. Call Christopher M. Sierra, PA when you’ve been charged with DUI, and find out how we can help. The consequences of a DUI are not just the charges that will be imposed upon you under the law. You could also face a host of collateral consequences. Individuals with a DUI conviction may face higher insurance premiums, may have a criminal record that could impact their access to federal or state aid programs, and may have difficulty securing jobs, especially jobs involving driving or sensitive populations. Being charged with DUI is serious business that requires the help of a competent DUI lawyer. Christopher M. Sierra, Esq. is a DUI lawyer in St. Petersburg, Florida, who will be there to help you in your time of need. We have extensive experience working within the St. Petersburg court system and can represent you throughout the process. Our attorneys will go over the details of your case carefully to build an effective defense, and do everything within our power to minimize the consequences of your actions. Start building your defense by scheduling a consultation with Christopher M. Sierra, P.A. today. For more information on drunk driving laws in St. Petersburg Fl, click here.